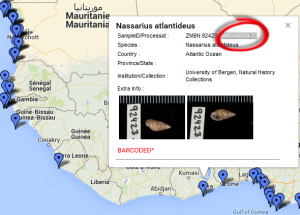 Our joint efforts in producing DNA barcodes for West African gastropods have been moderately successful with sequences generated for about 55 % of the species. 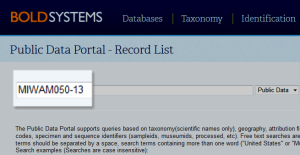 Data for successful as well as failed specimens are available on this page. A pop-up window is displayed by clicking on the blue markers. 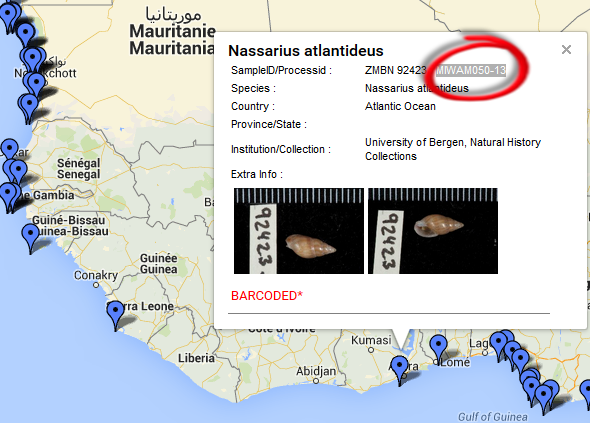 In this example, there is a BARCODED specimen of Nassarius atlantideus. 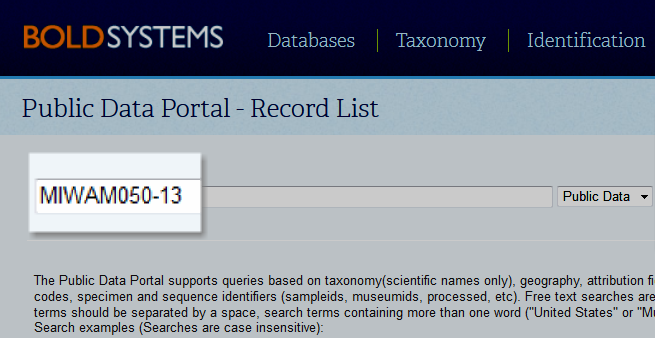 Notice the processID, MIWAM050-13, which can be used to access the specimen in the BOLD database. This entry was posted in BOLD, Mollusca, species identification on February 1, 2015 by EW.